I think I may have a problem with the Dayton wire wheels I want to put on. Dayton Wheels said to make sure the caliper does not hang over the mounting surface for brake caliper clearance. The caliper hangs over! For the caliper clearance...I'll just put a wheel spacer on. I haven't been working much on the car lately as Id like to... but in the last couple of months I did purchase a few items which included the Russ Thompson self cancelling turn signal, drop trunk, accelerator pedal, and dead pedal. I also bought and installed the FF Metal trunk battery holder. I also bought a handle for the dash ( like in EdwardB's thread), a Longacre brand battery cut-off switch, and some "Lift the Dots" for the body as well as a USB power port that I'm thinking about hiding in an ashtray. Since my last post I installed the rear end onto the chassis. I was originally going to powder coat the aluminum panels, but after recently seeing some vintage cars like Ferrari's, Porsches, and the like, I decided to just give the panels a brushed look and sealed them with Sharkhide protectant. I'm not building a show car and this saved me a few hundred dollars. I also mocked up the dashboard to see how I like the layout. Sometime last month in November I installed the rear end. After watching the FFR build videos and after attending the July Motts College build school, as well as reading the manual, I was anticipating having to remove the differential cover and removing the axle shafts in order to install the brake caliper brackets. Since I had to remove the differential cover, I decided to replace the stock Moser differential cover with an aluminum one (Moser part# 7106, 8.8" performance cover). After looking at the supplied brake caliper brackets, I realized the brackets can be installed without having to remove the axle. So I just installed the new aluminum cover and moved forward. I had an issue with the brake caliper not aligning properly with the caliper bracket. A call to FFR revealed I had the wrong size upper bracket which was too small ( the painted black one). A few days later I received the correct sized one. With the new brackets, everything lined up. I then had another little issue. With the brake pads installed into the caliper, I could not put the caliper onto the brake rotor. With another call to FFR, a simple fix was recommended. I used long nose pliers and pushed in and twisted the caliper piston approximately 1 mm and that solved the issue. With the brackets, calipers, rotors, new diff. cover, and vent hose installed, I raised the rear end in place with no problems...and I did it with myself and my 16 year old daughter and 12 year old son. I then installed the panhard bracket and bar. This was all pretty straight forward. I was originally going to powder coat the aluminum panels, but after recently seeing some vintage cars like Ferrari's, Porsches, and the like, I decided to just give the panels a brushed look and sealed them with Sharkhide protectant. I'm not building a show car and this saved me a few hundred dollars. I agree about the brushed aluminum look, definitely vintage, as well as the Sharkhide. Can you go into more details about your process for the appearance of the aluminum panels? This is my favorite build thread. Have you test fitted the wire wheels with a spacer yet? How thick a spacer will you use? Any idea how that will affect tire clearance? I like wires, but I also like these FIA wheels. 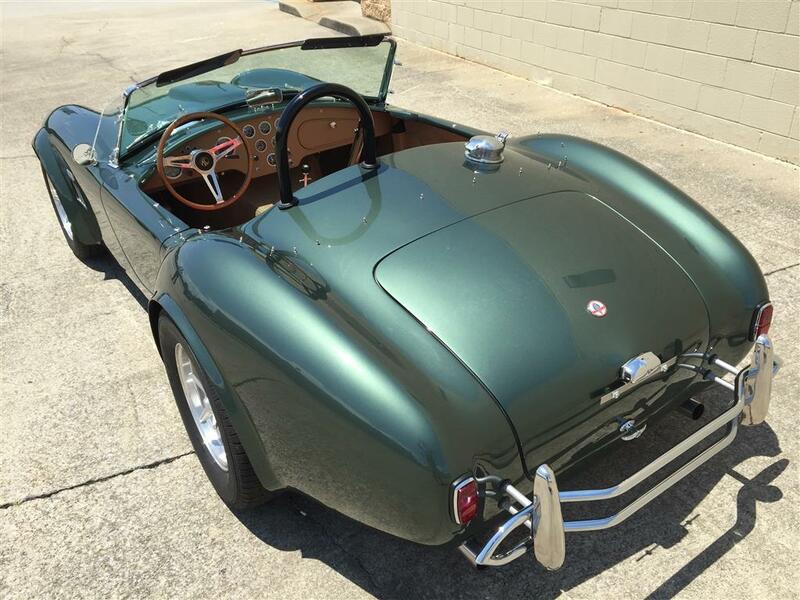 I'd delete the roll bar and rear bumper, opting for just overrriders, but I suspect registration required it. IMO, it's mounted wat too far off the body. The color? Cosmic, and the tan interior is excellent! I haven't purchased the wheels yet. That is the main reason my build is going slow. I mentioned in my earlier posts that the $$ set aside for the build ended up spent on my new commuter car. With the standard offsets from Dayton, the wheel will get pushed out a bit...can't remember how much compared to the FFR wheels. First, the aluminum was cleaned with lacquer thinner. Then, If the panel was scratched, i used 220 sand paper and brushed the panel in one direction only as straight and as long as possible. Then went over the panel the same way with the "red" colored scotchbrite pad ( from Amazon.com). I've seen some people use WD40 on the scotch pad while they brushed the aluminum. I didn't though. Then clean the panel again with the lacquer thinner. Then I used a cloth diaper ( we have many left over as rags from when the kids were young) and applied the Sharkhide. There are shark hide youtube videos showing the application process. There is also threads on this forum about the brushed and other finishes for the aluminum panels. Make sure you wear gloves so your skin oil doesn't contaminate the clean panel. That FIA car does look sweet. I agree the rear bumper looks a little too long. Where are you located? When do you plan on buying the kit? I am very interested in your progress with the Dayton wire wheels. I am considering that route also. Keep us informed! Sorry I'm late responding. We're in the middle of our motorcycle tour season here in the DR. I'm not sure when. I'm looking for options because I want both IRS as well as pin-drive wheels. 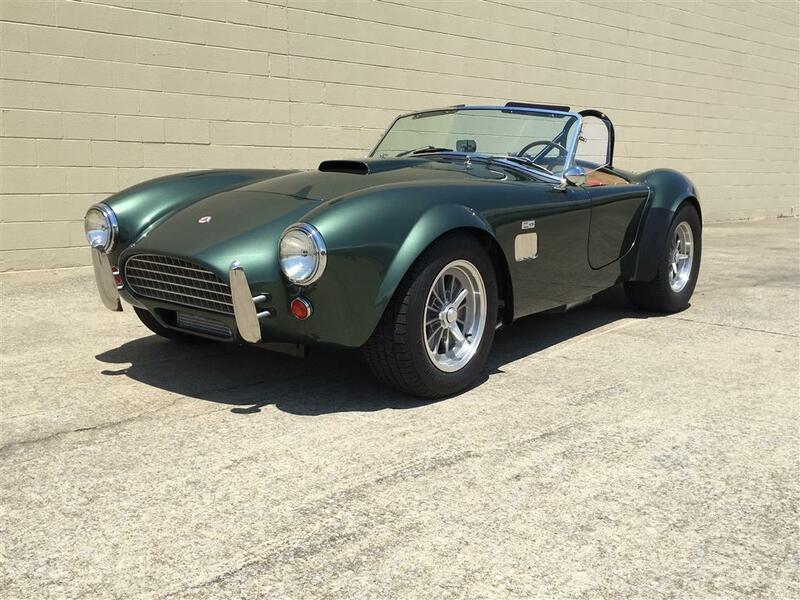 I think wheels are a HUGE part of the Cobra look, and I personally stuggle with the bolt-ons with bolt covers, like noticing a hair growing out of a mole on the face of a pretty woman. I know opinions and beauty vary, and I have no problem with that. One reason I like the FIA is that it was originally a small block car. I also struggle with a SBF instead of an FE in a 427s/c car. a SBF in an FIA is "correct." Solid axle cars here in the DR would beat you to death. I still have to figure the Daytons out as I ordered the standard width axles. With brake caliper clearance issues I will have to use wheel spacers in the front...i havnt yet figured out how far they would stick out. Ill give an update when I do. “Hair growing out of a mole on the face of a pretty woman” thats a pretty funny description. Why not swap axles for a shortened one? Or have yours shortened. 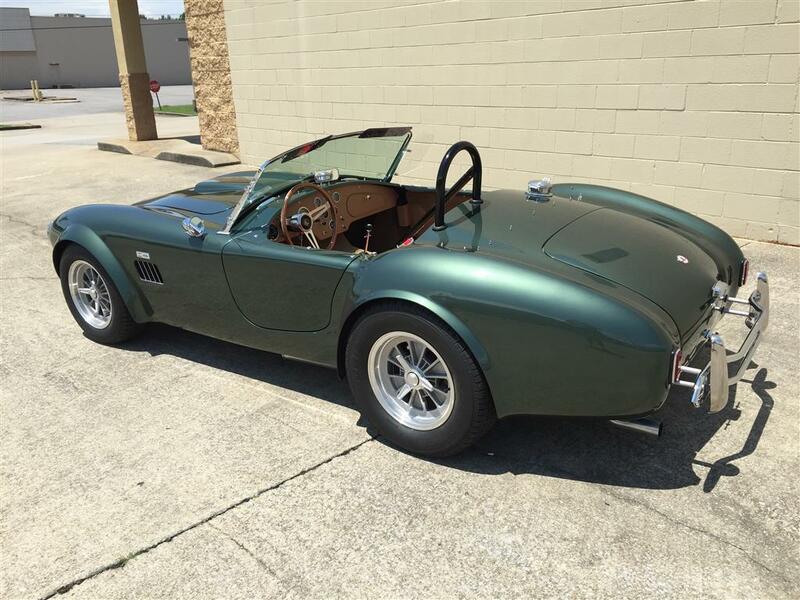 IMO, the wheels on a Cobra are critical. Spending a little more for the look you want would be worth it. Aren't there narrow FFR front axles/spindles for pin-drive front wheels? Finally have a few days off and was planning on working on the Cobra's brake lines...but I've been having more bad luck. Slipped and fell down a flight of stairs yesterday and I'm pretty sore and very uncomfortable in certain positions. So I found something to do while standing. Instead of fabricating my own butterfly valves for the foot boxes, I just purchased these from Finishline. I'm planning on placing the control knobs somewhere under the dash. So today I made a couple of brackets from aluminum for the control knobs. Im gonna POR15 them and I still have to mark the final locations as to not interfere with other systems. For the driver side footbox vent knob I ended up putting it above the cross bar to avoid the electrical fuse box. For the accelerator I used bolt size 1/4-20 x 2 inches and screwed it into one of the existing holes in the foot box. I am using a hydraulic clutch and added a pedal stop for that also. I'd like to have welded a steel bracket but do not have a welder. So instead I cut a piece of angled aluminum (1-1/2 in x 1/8 in) and formed a bracket. I'm pretty confident it will be strong enough. Then bolted it to the square tube frame. The bolts are in place but of course not yet adjusted. Looks like a blast! I'm in Vacaville building a coupe. Supposed to be here Thursday! Will be in touch once it's road ready! I haven't worked much on the car this summer but I have been buying parts. Went to Hot August Nights in Reno and bought a Fitech EFI and Fuel pump and used their 10 percent off show special. I was so unsure how the Dayton wire wheels would fit as I would base the measurements off of the Halibrands that I have never seen on a USRRC car. I ended up just buying the 15" Halibrands from Factory Five. I mounted 235/60-15 on the front and 275/60-15 on the rear. The rear tires seemed too large and would rub on the body. I swapped them out for 255/60-15 which I think look a lot better in the wheel well. The fronts stick out a little but still look good. However, if I get the wire wheels I would need a wheel spacer fro caliper clearance which would push the wheel out further out from the fender. I will have to consult with Dayton to see what wheel offsets I could play around with. Or depending on how much the cost, I could swap out for the narrow width front axle. Have you set the camber etc up yet? I just did a rough alignment with a level and yardstick. The wheels are straight with no camber. I had the wheels but the tires were not in stock at the tire place and were on the way from Cooper Tires. The calipers overhang 3/4” and i will definitely need wheel spacers. I think there is not that much wiggle room to play with with the Wire wheel offsets to tuck them back in the fender. Ill look into the narrow pin drive lower control arms. I think the body position is pretty close based on the bumper bolts going throgh the original body holes. However i didnt put on the weatherstrip bulbs yet. What would be the road clearance with the side pipes? Don't they mount below the body as opposed to along the body in the s/c? I don't know what the height will be with the side pipes...and I want to go with under car exhaust too! Still gotta figure that out, but I like the stance in the picture. Just spent the last day and a half working on the brake lines. Bending them in the right spot was a lot harder than I thought it would be. I just couldn't seem to get it right. When I bent a right corner I bent it too short and the corners ended up having different angled radius to make up for the bend. Overall I think its acceptable just not as clean as what I strived for. I used nicop line which is easy to work with. I wouldn't have been able to do it with a harder line. The Eastood flaring tool his awesome. No problems there. Here are the tools I worked with. Also I used two 1" sockets on a bench vice to make the loops. After completing the brake lines, I pulled my engine out of the corner of the garage. Since I'll be replacing the Holly Carb with a Fitech EFI, I removed the mechanical fuel pump. One more pic of the rear brake line under the car. Thanks for the info on the height of the pipes. What is the clearance from the ground to the bottom of your round frame tubes? Thanks for the info. The ground is a real problem for me because we have a lot of 2-3" speedbumps in this country. That is the case for under car exhaust for my build. Installed the FiTech in tank fuel pump. The original factory fuel pickup line would be in a small basin bowl within the tank. I opted to enlarge the original opening for the FiTech assembly. This put the new fuel pump assembly outside of the basin. I didn't have to but I bent a portion of the basin wall for better clearance of the parts. Its not the ideal location for the fuel pickup, but it hopefully should work nonetheless. This evening I installed the Mcleod RST dual clutch. I was on the fence with this model as I heard they can chatter a lot. But while at Reno Hot August Nights the Mcleod booth had a demo of this clutch and it was a really light clutch and I really liked it. I hope it works out for me. After the clutch installation, on went the bell housing. Looking good Eddie! Have you made a decision on the transmission yet? This has been the hardest decision to make so far. Ive been analyzing my driving habits and noting the speeds at which i usually travel. I keep going back and forth on which gears to get. After talking to Mike Forte, I think I'll stick with my original plan with the TKO600 with .64 fifth gear. Forte does not have any in stock right now so I'll spend the rest of the week to ponder until he gets them in stock. As of now I'm pretty certain it will be the .64.